I knew you were an angel! Sometimes I think you are not real flesh and blood but a brilliant light….a force of energy…. Enreal. You are so soul stirring. So blessed you are to have been reawakened. Is it hard to coexist, or does it become easier with each passing day? (((Cordie))) It is never easy, as you may yourself know from your wisdom, Thank You for joining me here and your beautiful thoughts! You are one of a kind indeed. I’ve been reading through your posts and some touched me personally. I think it’s time to update my blogroll. If the world has more angels like you, I know that every day for just about anyone would be full of sunshine and rainy days would just be another stone to leap on for more sunny days. (((Glaize))) Much Love to you! What nice things to say, you touched my heart! Welcome! 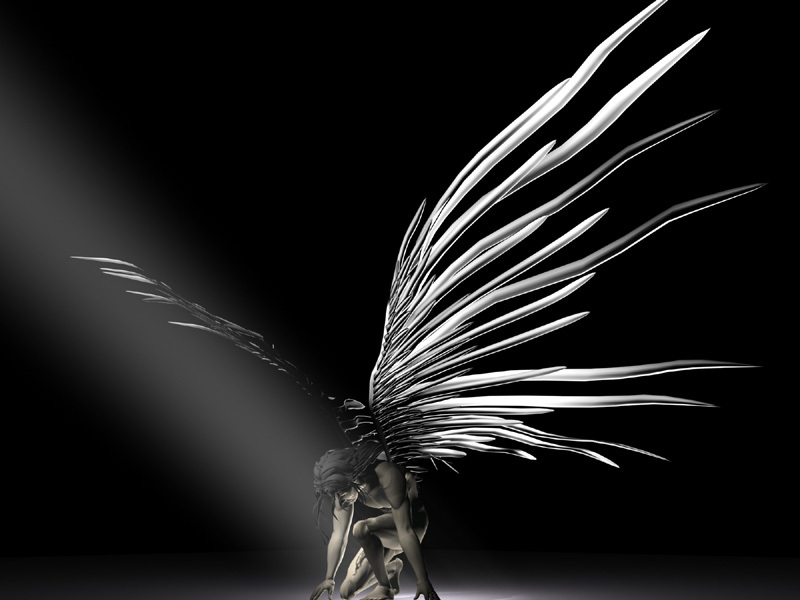 i think in many ways we serve as angels to one another. i feel honored and blessed to have had an angel visit my little site — thank you, enreal. all the world is in peace. Thanks for visiting and saying hello. You have a wonderfully inspired blog here. Hope to see you again soon. have been a lousy visitor lately, but have been thinking about you nevertheless. I will have to write you an e-mail one of these days, I think you may be able to help me with something, or at least you may be willing to share some of the experiences of your journey. Hope peace is with you. thank you for sharing your thoughts with me; our love for grammar is one that is spread and nourished by your unique and ubiquitous words. Lord only knows I need all the angels I can get in my life. Havent been here in a while, hoping all is well with you. Reading the muse and you, makes me smile. thank you for your kind comments today, I’ll be writing you in the next days. I’m ready to move on 😉 . Thanks for your post your one heavy dude. I’m not sure your sane but then who is these days. Anyway thanks and stop by anytime. ~fevah~ thanks… I think ? Definitely not a ‘dude’ though… heavy? Heavy hearted mostly… thank you for that post… made me think what I would want to talk about … if I had a chance. Welcome to my site… dito. my apologies for calling you a dude, Enreal. So why the heavy heart? Come over and talk to me about it if you like. I know you “love a conversation.” I’d love to talk to you some more. Enreal when you say life is heavy, you mean YOUR life is heavy. Try and be like those snow flakes you told me about, all light and fluffy “n” stuff just for a little bit. Maybe if your a snow flake falling in the dark once “n” a while life being heavy wouldn’t be so much of a burden for you. Man I know the world you come from is, I don’t know the words, but from what i have seen of the western world on the net, Heavy doesn’t come anywhere near in summing it up Crazy, mixed up, violent, the list goes on. but snow flakes still fall through it all, even through war, death etc. Unless heavy is where it’s at for you in which case, be heavy girl. ps: just in case you don’t speak Tongan Ofa atu means love to you. We don’t have a word for goodbye, so we say that instead. ~fevah~ brilliant words… heavy is heavy… and we all carry our burdens differently… thank you for adding to this conversation… Tongan Ofa atu … thats awesome! Inspirational is your angel – who captivates the mind of all who read. I am editor of ‘A Cafe in Space: The Anais Nin Literary Journal’ and I am seeking extracts from theses on Nin (and we do publish poetry as well). I understand you wrote your thesis on Nin. Perhaps we could publish part of it as a stand-alone piece. You can contact me at skybluepress@skybluepress.com and you can visit our Nin blog at http://www.skybluepress.com/blog.html. Whispers of Nada… An extension into the inner cosmos as it breeches the real world. The Illusion, or the Fantasy, sadly we are with divinity and not love, love instead is a dream. It is so pretty here – so peaceful, I’m glad I came. Morgan… thank you and welcome to my pages… I feel we are all confused and lost at different times in our lives… then there comes a moment when we are found… then lost, then found… I am happy to have been part of one of your moments… and letting you know you are part of one of mine… for I too have been lost, yet now… I feel a little more found ;). Enreal, I so much missed your blog. Hope you are doing good. I always feel different sensation, some kind of butterfly tickling inside me when I read your words. It feels as if some wait is there and soon it will get fulfilled. Neilina… good luck on your new path… I do like it! nice to have you back! mother replies ,to god for all the kindness bestowed on them. then child ask have you created me to pray to you? mother is mom what to answer, get tears …………. adds “It is not the requirement of god that we pray . prayers are like tiny hands of child wants god to taste the wonderful cosmos that has created. kindness is nature of cosmic intelligence and as child is happy mother is happy. I stumbled upon this yesterday and can now say your poetry is my inspiration. I have an angel also. Its been with me from the start, unaware of its Being I just lived my life. But it grew with me and more knowledge about its own life just as I have with mine. Its life has reflected in mine and mine in his. We are one also, one bond that creates a massave forge that will never be destroyed. I learn things about him, How he can act how he moves, what his skills are and how he can help me and vice versa. Thank you for the kind comment on my blog! Your prose is truly delightful. I look forward to reading more in the future. i feel so blessed and lucky to have found you and smj, both talk the language of my soul, and right now she is singing to have found you angel enreal. yeah! oh my God, Enreal! How long have we ‘known’ each other here in blogland (even with all the fits and starts). I have a confession to make. This entire time, I thought you were female. TOTALLY gobsmacked! It makes me want to go back through all the blogging over the years – both mine and yours – and see how I missed that fact. I have officially shanghaied you; I mean nominated you for the esteemed Versatile Blogger’s Award! I hope you take to time to check out some of my other nominees if you don’t know them already, and please check out my new friend Charlotte’s blog. As most of you know, I don’t really do this type of thing, but I stumbled upon her blog by accident doing this Halloween guestbook signing for another friend and well, what can I say, I felt obligated. She trusted me, of all people, yeah, and nominated me and she does these really great water-color portraits. If nothing else, please stop by her blog, that would mean a lot to me. I hope you enjoy my little “awards show.” I got to play around and be sarcastic and as most of you know–I loooooooooooove to do that. Thank you & Happy Halloween! That sounds beautiful. Enreal. God bless you! Is this your only experience with angels? I’d be interested to know about your experience.